Did you guys think I forgot about the Birth Story Diaries series over here? Well, I promise I didn’t. Life has just been really busy between the holidays and vacation and being sick, but I really do plan to post more! I got so many great submissions and I’ve loved pouring over each and every one. I just love birth! Birth stories can be long…and I mean LONG…and as much as I love me some birth details, I also love ones that are short and sweet. 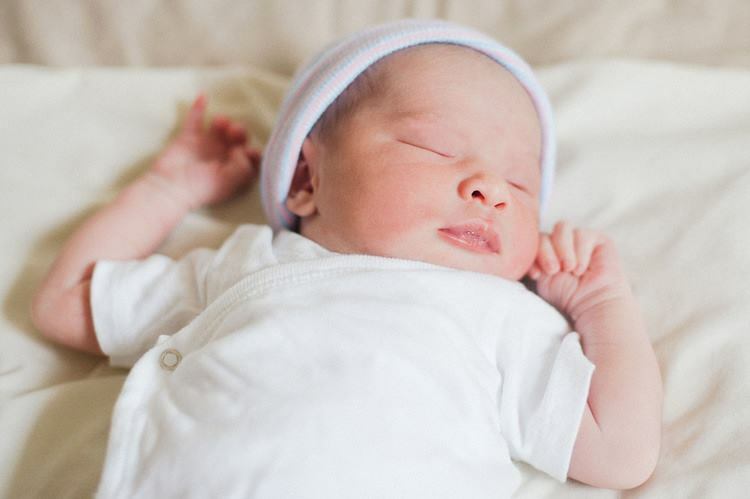 Such is the case with today’s birth story from Kristel Acevedo of the blog Glowing Light. 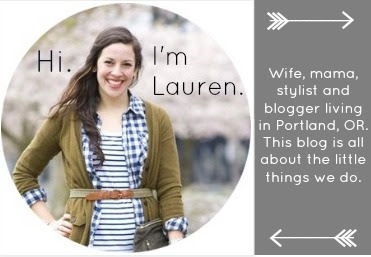 Kristel and I have become friends through social media and I always enjoy reading her blog. She has two super adorable little ones – her firstborn is a little boy named Liam and she has the sweetest little lady too – Isabel. Today she’s sharing Isabel’s amazing breech birth story! “My son was born in a hospital in Denver, CO. It started with my water breaking in the early morning and ended just six hours later with a baby boy placed on my chest. It was a great, drug-free experience. Ten months later I found myself pregnant again and gearing up to move to Miami, FL. I was excited about moving because we would be close to family and friends. We love Miami, it’s home. But I am not a fan of the hospitals and maternity care here. I knew that if I wanted another great experience I was going to have to think outside the box. I settled on a home birth with a fantastic midwife. My prenatal care was the best I had ever received and my pregnancy was great. I woke up one morning in March feeling weird. I was kind of expecting my labor to begin with my water breaking as it had with my son, but this time I started with contractions. I wasn’t sure if this was the big show so I sent my husband off to work and I took a walk with my mom and son…a walk that lasted all of five minutes because the contractions were getting too painful. We rushed back inside and called my husband and midwife, it was time! My husband arrived home and immediately started filling up the birthing tub. As soon as I got in and felt the warm water splashing against my skin I began to feel some relief, but it didn’t change that this baby was coming fast. I was relived when my midwife walked in the door. She brought a spirit of calmness and confidence with her. Not twenty minutes after she arrived I felt the urge to push. I couldn’t control it. I let out a primal scream and pushed with everything I had and felt the baby exit my body. I looked down into the water and saw my baby girl…she was out, everything except her head. What?! “Is she stuck? !” I couldn’t believe my baby was breech. We never had any indication throughout my pregnancy that she was breech. She must have flipped at the very last moment and she took us all by surprise. My midwife told me to push one more time and with a pop she was out. Fill in the blank: I am a “do whatever it takes” birther. With my son I was quiet and focused. With my daughter I was definitely louder. 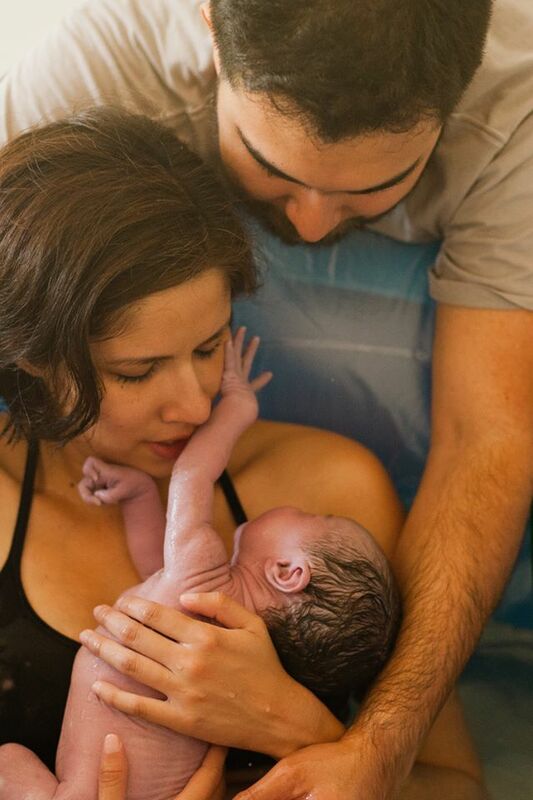 What was your favorite part of your birthing experience? Pushing. With my son I pushed for an hour before he was finally out. It was exhausting. With my daughter I only had to push twice but it was such a different feeling pushing out a breech baby, let’s just say it hurt. (Thankfully I didn’t tear though). How did you feel immediately after delivery? What’s one thing you would like to say to other women about birth? 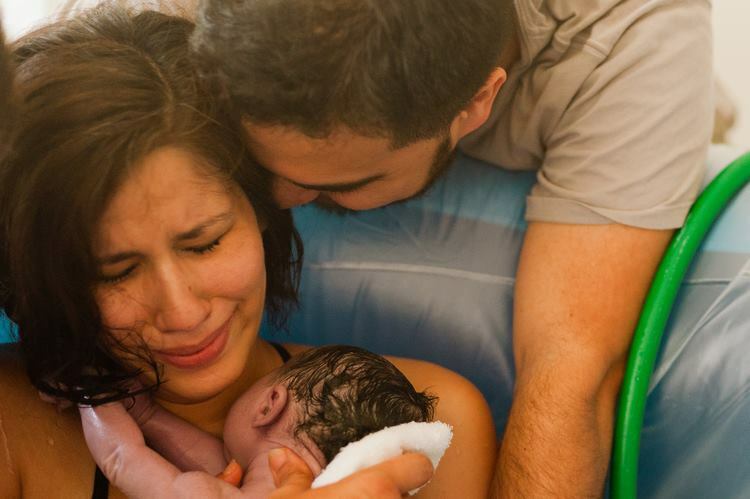 Birth does not have to be a scary or horrible experience. Find a birthing team that believes in you and supports you. If you go in with a positive mindset it makes a world of difference. Thank you so much for sharing your amazing birth story with us Kristel! And if you want to keep up with Kristel’s family adventures you can read her blog Glowing Light as well as finding her on Facebook, Twitter (@KristelAce), or Instagram (@KristelAce)! Hi, are you still accepting submissions to this series? I really want to share my home birth experience as well, and Kristel and I had the same midwife. 🙂 Thanks! Hi Kirsten – Feel free to send your story over! My e-mail is loveoflittlethings(at)gmail(dot)com. I got quite a few submissions so it may be awhile before it’s posted, but definitely send it over, along with photos and answer the questions that I asked Kristel at the bottom of this post. Looking forward to reading your story! Wow what an empowering story! I am all about birth stories and this was fascinating! Usually when you hear about a breach birth it’s kinda terrifying but I was totally amazed. Thanks for sharing! Brooke – Yes! I think breech births can definitely be scary, but they don’t have to be. The main reason why they result in c-sections most often is because OBs aren’t trained in them anymore. It’s “safer” to just do a c-section and less likely to end in a malpractice lawsuit, so they don’t even bother learning how. It seems like only midwives and those who are “old school” actually know how. I can’t say I would be brave enough to knowingly have a home birth if my baby was breech, but I think it’s so cool that other women do! Especially in Kristel’s case where she didn’t even know. Fern had a brow presentation when she was born, so she got a little stuck too. Definitely not like a breech birth, but still…had I been in a hospital I probably would’ve had a c-section. Glad you enjoyed it! I never imagined that I would have a home birth like this but it was awesome! What a quick birth! My first baby was also pretty quick, 5hrs40min from first contraction to “popping out”. I delivered in a hospital with an OB. Although it was a good experience, stories like this one, make me feel more confident about having a home birth or even going with a midwife, the next time I’m pregnant. Us women forget how powerful our bodies are! Yes, my first son was born in a hospital and it was pretty quick and went very smoothly which gave me confidence that I would be able to do a home birth. And I’m so glad I did…it was only about two hours from start to finish so I’m not sure I would’ve made it on time to the hospital anyway, lol. Beautiful birth story! So proud of my fellow momma and friend, Kristel! You go girl! Don’t know how you did two all natural home births- amazing! So glad everything ended up going well.Sounds like you had a great time by your side.